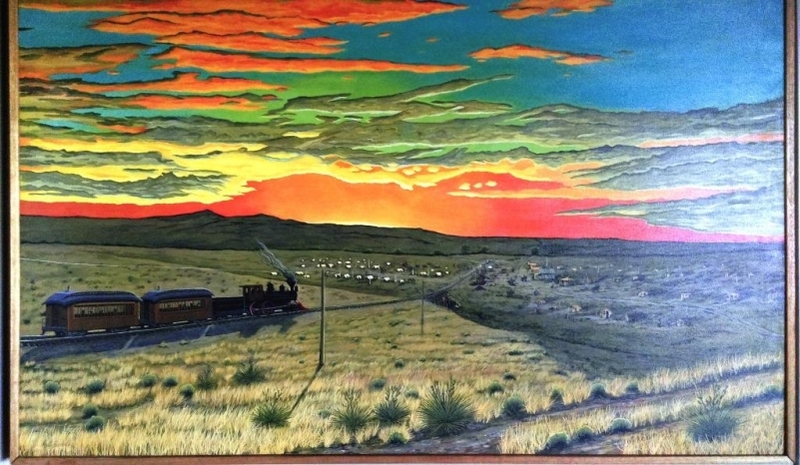 Sheridan, End of the Track, oil by Chuck Bonner, Keystone Gallery. Read the story about the 1868 “wickedest town in the west”: Sheridan-Lawless City of the Plains (from the Kansas Territorial magazine). Listen to the Story “Hidden History – The Ghost Town of Sheridan Kansas 1868”. Buffalo Bill’s Wild West , circa 1860-1880. 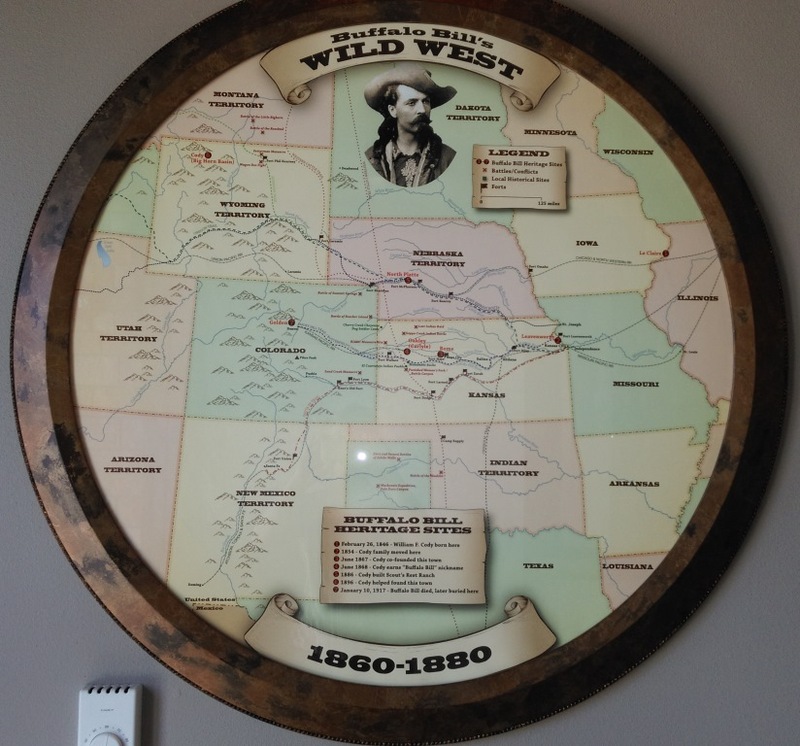 Map shows the trails, forts, railroads, towns, and historic sites of the Wild West and includes Buffalo Bill’s Heritage Trail – track his life through the Wild West. 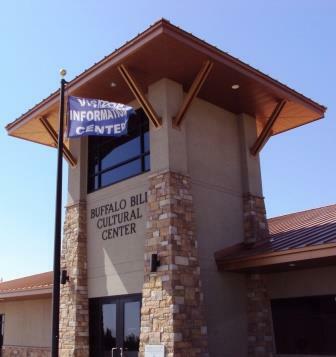 The Buffalo Bill Cultural Center is a Kansas community partner Travel Information Center. 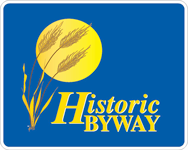 We have Kansas state maps, brochures, and a great gift shop featuring many Kansas made products. Come in for travel assistance, enjoy a cup of coffee, and stay for a picnic lunch. We are pet friendly outside and inside. Our spacious parking lot can accommodate cars, RV’s, buses, and trucks of any size. Read More or call 785-671-1000 for more information. 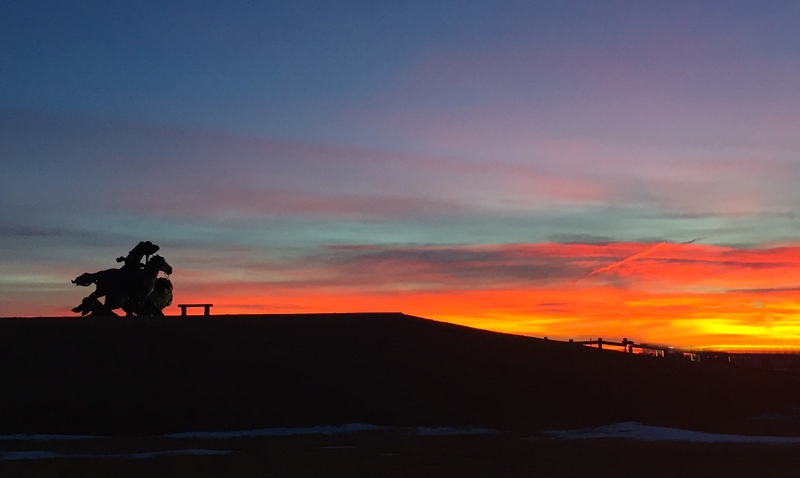 OUR MISSION is to engage and expose our visitors to the stories, the people, the history and landscapes that define our plains culture both past and present. Our monumental bronze sculpture is a must see if you are driving through Kansas. 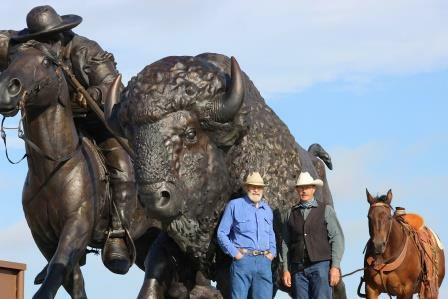 Voted one of the 8 Wonders of Kansas Art, the sculpture commemorates the “Birthplace of the Legend” of Buffalo Bill. Like the Blarney Stone of Western Kansas! Make sure to take the time to pucker up and kiss the buffalo for good luck. 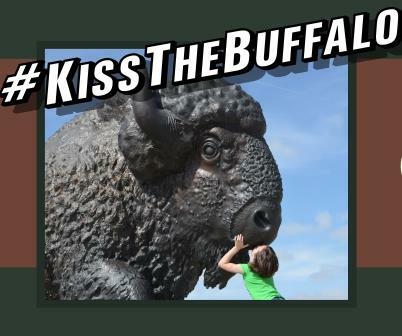 Share your pics on social media using the hashtag #kissthebuffalo. Come visit us! Stop for the legend. Stay for the day.